ExtraTV reports the death of longtime TV actor Ken Berry. He was 85. Berry's death on Saturday was announced on social media by his former wife, comic actress Jackie Joseph (b. 1933). 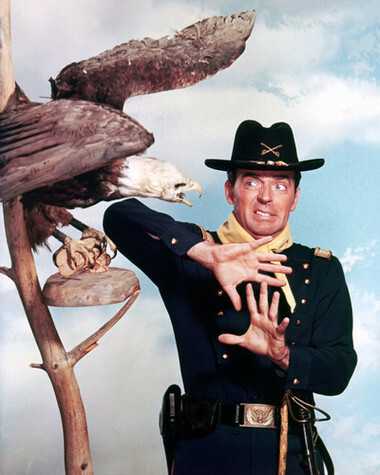 Berry served in the U.S. Army ahead of his TV debut and a contract with Universal. His biggest early break was in The Billy Barnes Revue, a show that played in L.A. and made it to Broadway. It was also where he met his wife, Joseph. The talent had series-regular spots on The Ann Sothern Show (1960-1961), Ensign O'Toole (1962-1963), Dr. Kildare (1961-1964), F Troop (1965-1967), The Andy Griffith Show (1968), Mayberry, R.F.D. (1968-1971), and was the star of an episode of The Brady Bunch called Kelly's Kids (1974), which was earmarked to be spun off into its own series; this never happened. Berry worked with Carol Burnett from the early '60s on, including making 19 appearances on her The Carol Burnett Show (1968-1978). He was Vinton Harper on Mama's Family (1983-1990), which was a spin-off of the show's "The Family" sketches. I remember him fondly for his Disney films Herbie Rides Again (1974) and The Cat from Outer Space (1978). His last on-screen appearance was almost 20 years ago. Berry was preceded in death by his son with Joseph, John, who passed away two years ago of brain cancer. He is survived by their daughter together, Jennifer. Handsome-beautiful man-everyone knew he had/has a GREAT SOUL!!! !